The story goes like this: Renowned wine critic Robert Parker was in France, visiting some high-end chateaux to taste their latest vintage. En route to his next appointment, he passed a small farm with a sign saying they were selling wine. Curious, he asked his hosts at the chateau about it. That renegade spirit is what inspired Minnick and his partner, Stewart McLennan, to found the Garagiste Festival in California. Now in its eighth year, with events in Paso Robles, Solvang, Sonoma and Los Angeles, the Garagiste Festival celebrates small-batch winemakers—“microwineries,” as Minnick calls them—who, like those garagistes back in France, take a more adventurous, anti-commercial approach to making their wine. 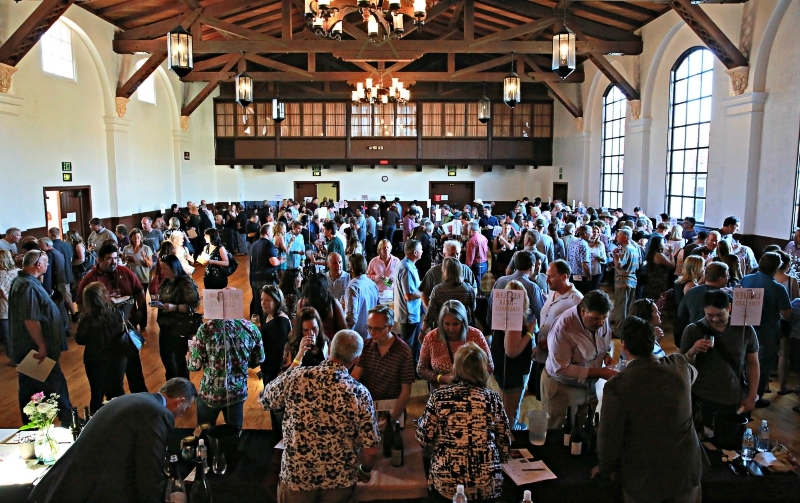 At the festival’s most recent stop in Solvang, 42 microwineries from all over California, most producing 1,000 cases or less a year, poured samples of over 200 of their wines, showcasing a range of varietals, styles and techniques far beyond what you’ll find at the supermarket. There were bone-dry rosés made from Tannat and Tempranillo; pale Pinot Noirs made surprisingly robust thanks to a technique called whole cluster fermentation; unfiltered, unoaked Chardonnays bursting with tropical fruit flavors and single varietal Petit Verdots as dark as squid ink. Not everything being poured was a winner, but the best garagiste wines can be strikingly complex and unexpected, with flavor profiles closer to earthy, European-style wines than the juicy, fruit-forward stuff for which California is best-known. Like many garagistes, Blatty and his wife Jenny tinker with different blends and techniques not just for the sake of experimentation, but to express a particular terroir—that combination of soil and climate that makes each winemaking region unique. In their case, they’re focused specifically on wines grown within L.A. County, especially those from the little-known Antelope Valley AVA (American Viticultural Area). Their next release, a Grenache/Merlot/Syrah blend, is called Tremors after the fact that the grapes came from three vineyards that run along the San Andreas fault. Elsewhere around the festival, a former Navy fighter pilot named named Hal “Bull” Schmitt and his wife Victoria repped Paso Robles with their label, Volatus Wines. Among their offerings was an inky, single-varietal Tannat dubbed Bloody Well Right after a song by Victoria’s father’s band, Supertramp (he’s the drummer). Across from them, a 26-year-old winemaker from Monterey County named Marin Wolgamott poured tastes of four different styles of Viognier, a white grape increasingly popular for its floral aromatics and peachy taste. Her winery is called Marin’s Vineyard, but it’s not a vanity label; her parents named it after her when she was just nine years old. Minnick and his Garagiste Festival co-founder McLennan are both winemakers themselves and occasionally pour at their events, as well. 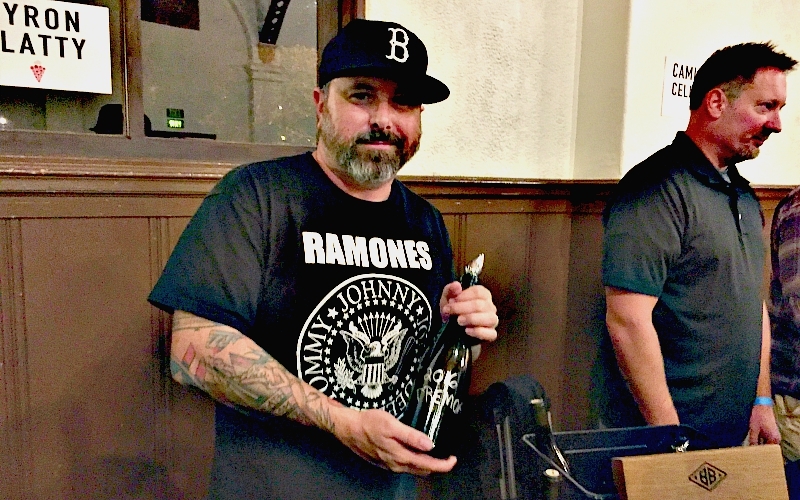 In Solvang, Minnick was offering tastes of a Pinot Noir from his winery, Hoi Polloi, dubbed Illicit—so-called because, in true renegade fashion, he was not at liberty to reveal the vineyard from which he had obtained his grapes. The Garagiste Festival returns to the L.A. area with its fifth annual Urban Exposure event, Saturday, July 21 at the Santa Monica Bay Woman’s Club, 1210 4th St., Santa Monica. More info at garagistefestival.com.